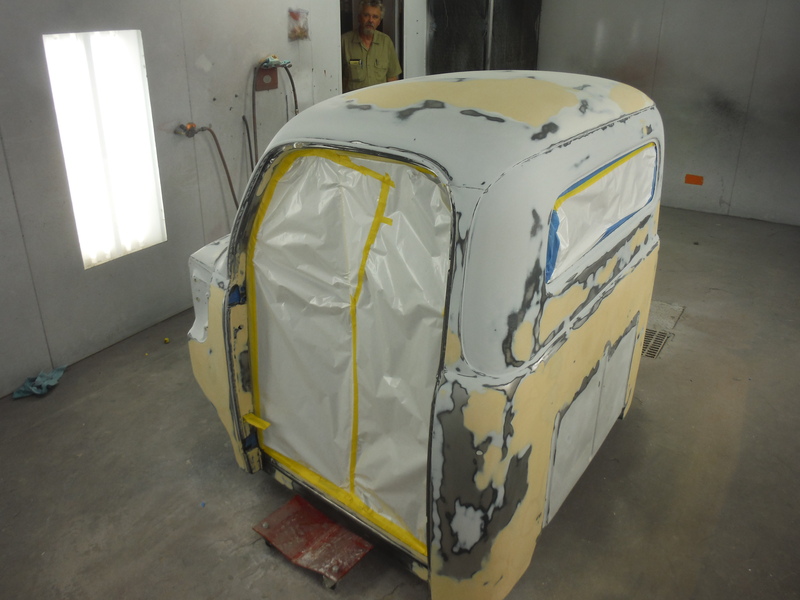 For the past few days, we have been working on the cab to the ’52 Ford. We have the body work pretty well wrapped up. 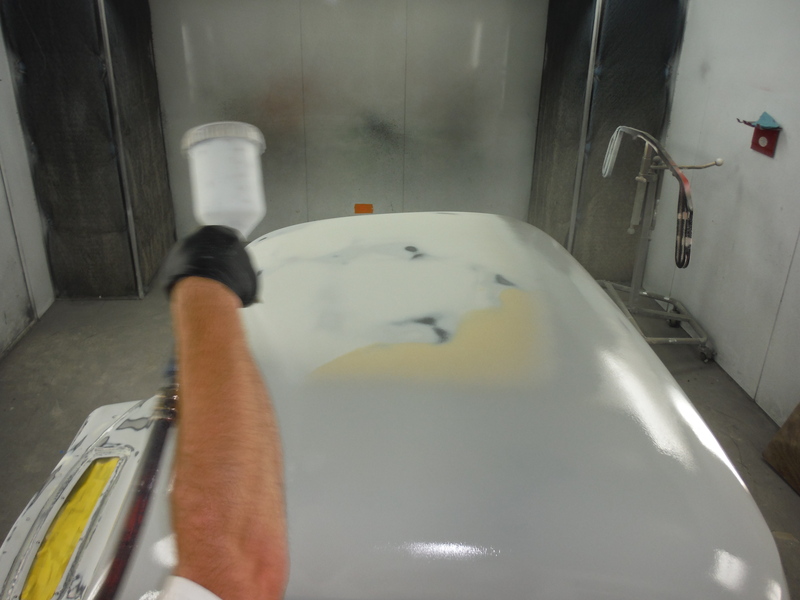 Here you can see we slid it into the booth for primer. We masked off the dash, we will use a different primer on that area later this week. 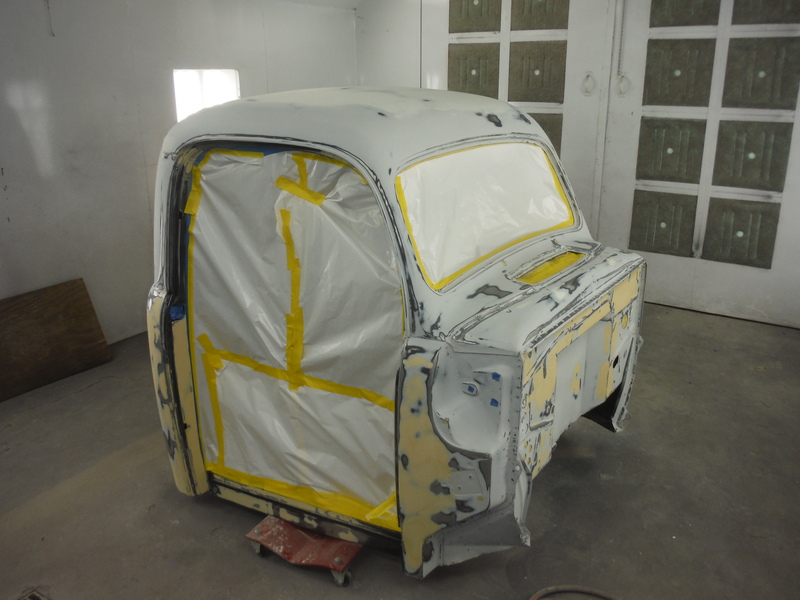 Once this primer is set up and dried, we will block it out and re-prime the whole cab with our finishing primer. Once that happens, the next step is more RED paint. 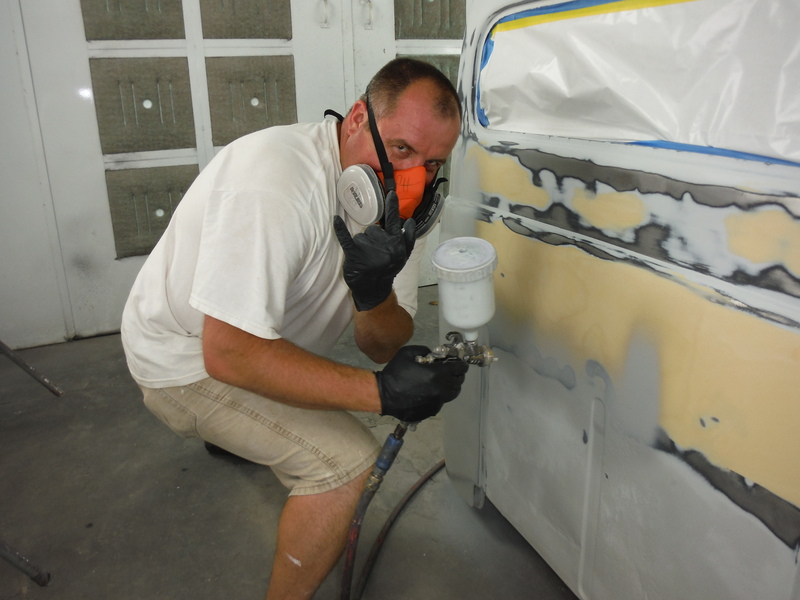 Posted on August 18, 2015, in 1952 Ford Truck, High Performance Finishes and tagged 1952 Ford Truck, auto body repair, auto body shop, auto paint, Avalon, Body Filler, body shop, body work, Ford truck, High Performance Finish, Jmc Autoworx, PPG Paint, primer, slick sand. Bookmark the permalink. Leave a comment.